"On the tenth day of the fifth month, in the nineteenth year of Nebuchadnezzar king of Babylon, Nebuzaradan commander of the imperial guard, who served the king of Babylon, came to Jerusalem. The Babylonians broke up the bronze pillars, the movable stands and the bronze Sea that were at the temple of the Lord and they carried all the bronze to Babylon. They also took away the pots, shovels, wick trimmers, sprinkling bowls, dishes and all the bronze articles used in the temple service. The commander of the imperial guard took away the basins, censers, sprinkling bowls, pots, lampstands, dishes and bowls used for drink offerings — all that were made of pure gold or silver. The commander of the guard took as prisoners Seraiah the chief priest, Zephaniah the priest next in rank and the three doorkeepers. Of those still in the city, he took the officer in charge of the fighting men, and seven royal advisers. He also took the secretary who was chief officer in charge of conscripting the people of the land, sixty of whom were found in the city. Nebuzaradan the commander took them all and brought them to the king of Babylon at Riblah. There at Riblah, in the land of Hamath, the king had them executed. So Judah went into captivity, away from her land." In August of 586 BC, a month after the city wall was breeched and the Babylonian officials entered the city (July 18, 586 BC, 2 Kings 25:1-12; Jeremiah 39:1-4), Nebuzaradan, the commander of Nebuchadnezzar’s imperial guard, returned to Jerusalem to burn the city and tear down the walls. First, in the process, was the burning of the public buildings such as the palace and the temple. 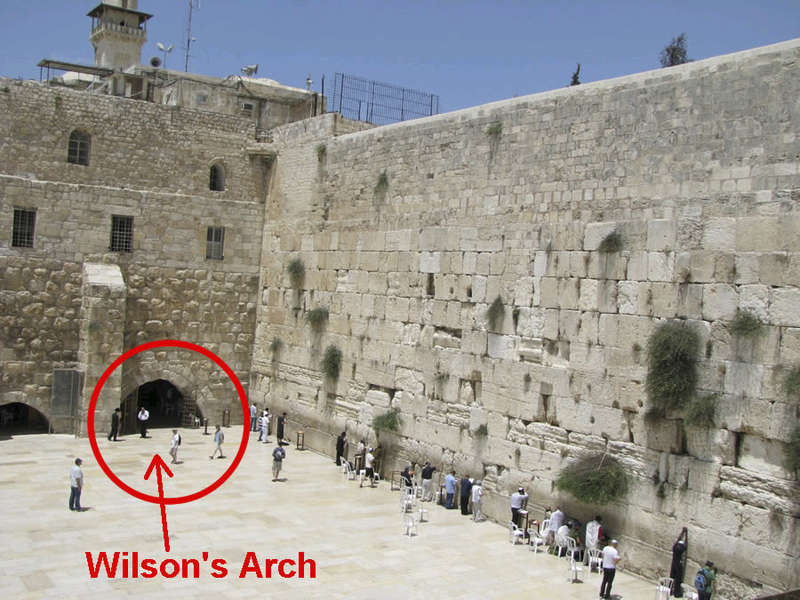 Second, the wall of the city would be systematically dismantled, leaving Jerusalem defenseless. One of the houses on the east side of the city that sets below the palace has been excavated with signs of the Babylonian fire used to burn the homes. It is called the “House of Ahiel” because two pieces of pottery (ostraca) were found with his name on them. (Details 1, 2. Photo. Diagram 1, 2, 3.) This house was a four-room house built into the retaining wall (Millo) of the city around 650 BC with a staircase that would have provided access to the flat roof. A stone with a hole cut through it was found in one of the rooms that would have served as the toilet seat that was over a cesspit about 6.5 feet deep. Before the temple was burnt the Babylonians plundered it of anything valuable. Many of these items were put into storage in Babylon and were part of the 5,400 articles of gold and silver from the Temple of Solomon that were returned to Jerusalem with Ezra when Cyrus sent the Jews home in 538 BC. (Ezra 1:5-8) These are also some of the items Belshazzar would have removed from storage for his fateful party recorded in Daniel 5 in 539 BC. (Daniel 5:3-5). Something that is always of interest and a point of curiosity is the fact the Ark of the Covenant is NOT mentioned as being part of the plunder of the Babylonians in 586 BC. Where was it? Qatsap (Hb) - angry (Eng) - The Hebrew word qatsap means “to be angry.” Qatsap is used to identify an emotional outburst of anger. The use of qatsap can refer to God’s anger (Psalms 106:32) against man and the Lord’s anger against disobedience (Leviticus 10:6). Is there someone from my past that I need to thank? A view of Jerusalem from the south. "How beautiful, then, the marriage of two Christians, two who are one in hope, one in desire, one in the way of life they follow, one in the religion they practice. They are as brother and sister, both servants of the same Master. Nothing divides them, either in flesh or in spirit. They are, in very truth, two in one flesh; and where there is but one flesh there is also but one spirit. They pray together, they worship together, they fast together; instructing one another, encouraging one another, strengthening one another. Side by side they visit God's church and partake of God's Banquet; side by side they face difficulties and persecution, share their consolations. They have no secrets from one another; they never shun each other's company; they never bring sorrow to each other's hearts." his favor is like a rain cloud in spring." 41 Jehoshaphat son of Asa became king of Judah in the fourth year of Ahab king of Israel. 42 Jehoshaphat was thirty-five years old when he became king, and he reigned in Jerusalem twenty-five years. His mother’s name was Azubah daughter of Shilhi. 43 In everything he followed the ways of his father Asa and did not stray from them; he did what was right in the eyes of the Lord. The high places, however, were not removed, and the people continued to offer sacrifices and burn incense there. 44 Jehoshaphat was also at peace with the king of Israel. 48 Now Jehoshaphat built a fleet of trading ships to go to Ophir for gold, but they never set sail—they were wrecked at Ezion Geber. 49 At that time Ahaziah son of Ahab said to Jehoshaphat, “Let my men sail with yours,” but Jehoshaphat refused.